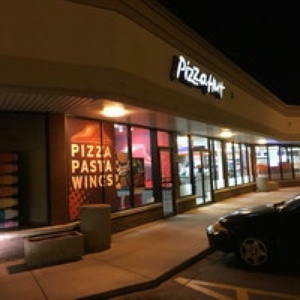 An attempt to pass a fake $20 bill escalated into a robbery this afternoon at a Boystown-area Pizza Hut, police said. Two men entered the restaurant at 3009 North Clark shortly before 2 p.m. and tried to pay for a food order with a bogus bill, police said. When an employee called them out on the fake currency, the situation escalated, and the men robbed the store of about $60, police said. The offenders are described as black men between 18- and 20-years-old. One had low-hanging pants and the other was wearing gray pants and had a gray hoodie over his face. They were last seen heading northbound on Clark Street with two pizzas and a Pizza Hut bag. A man reported being mugged in Uptown Monday night by a man who was wearing all white clothing. The victim was strong-armed of his wallet in the 1200 block of West Wilson around 8:45 p.m., police said. He described the offender as a 6’2”-tall, 210-pound black man who’s in his mid-20’s. The suspect was wearing a white jacket, white pants, and white shoes.